I love this recipe and you can make it in an 8x8" square pan without altering anything. I used 100% whole wheat pastry flour and I added a streusle topping, before baking. Enjoy! 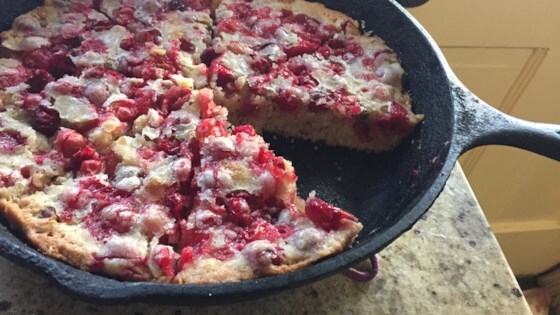 I did this with cranberries & blackberries, no nuts, 1/2 Rice flour and 1/2 spelt flour it was wonderful!